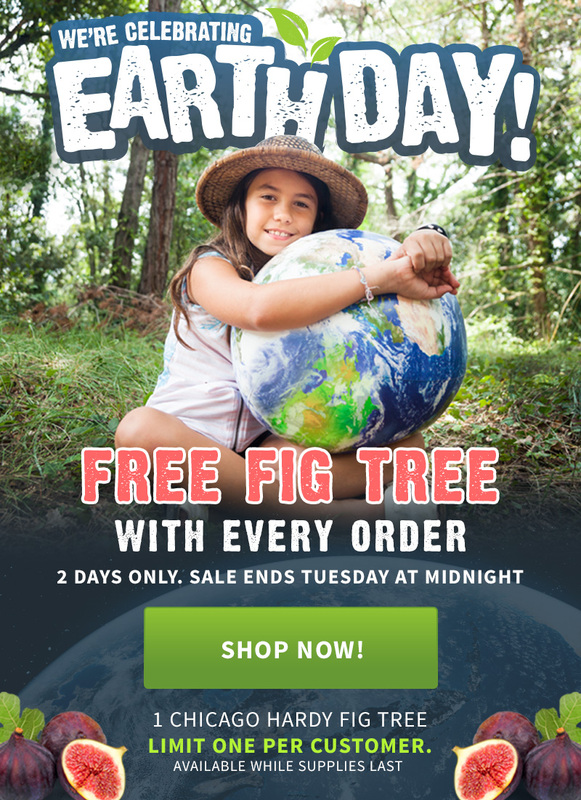 Earth Day Sale - Free Fig Tree with every order! Earth Day Savings - Up to 40% Off! Start Your Spring Planting Off Right! Grow Fruit All Year Long! Privacy, Fruit, FloweringTrees, Shade Trees and More!